Myself mostly and some good friends on the long runs. Grow every day; be a better person; get another BQ; hit 1:40 half marathon; have fun! For the freedom and pure joy it gives me. Freedom to go how far, how long, when, where. I love the time to pray, sort through& solve problems, and gain clarity on my runs. I tend to garner creativity more from running than without running; great as a writer. My very first marathon will always remain with me. I was smiling from the beginning to the end, even when I hit the wall at mile 20, like so many Marathon Maniacs warned me at mile 9. The distance brought such joy and challenge that I crave and the slower pace, allowed me to enjoy other racer’s company and the scenery. I love to give back to others and the running community. To help people meet their goals is a wonderful, amazing feeling. Seeing their smiles when they finish, is truly rewarding. I was a personal pacer for a friend who wanted to finish sub-2:00 half marathon (Eugene). We communicated signals to get status on how she was feeling. Based on these signals, I helped her achieve a 1:51. It was a moment of tears shared by both parties. 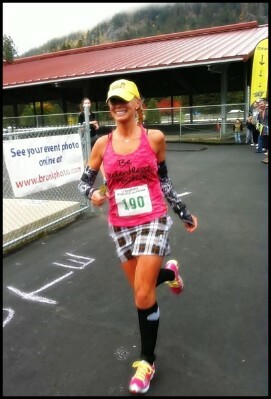 As a group pacer, it was my first time pacing (You Go Girl), and I finished in just under 10 seconds. If you want to finish at the stated pace-group time, you can count on me keeping the pace steady. If you like 2-way communication, having your questions answered, encouragement, & smiles, I’m your pacer! I keep a close eye on pace to make sure it doesn’t go over (I’ve experienced that unpleasant pacer sprinting in the beginning); going up hills, pace will slow, but I’ll communicate to pick up pace going down to make up for it. Don’t be afraid to ask questions. I am here to help you and I WANT to help you. Pace will be steady splits (e.g. 9:09 miles for 4 hour finish) unless a steep or long hill slows us down, we will pick up the pace a little on the downs. 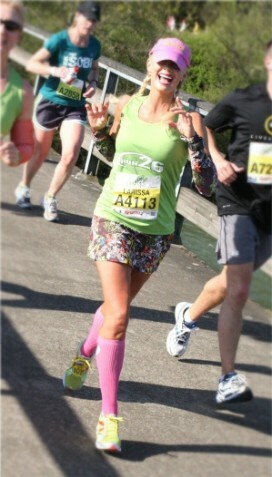 Runners inspire me beyond belief! Monetary & material donations to foster children in Washington state; possibly becoming foster parents. Volunteer work with PAWS, low-kill animal shelter in my county.